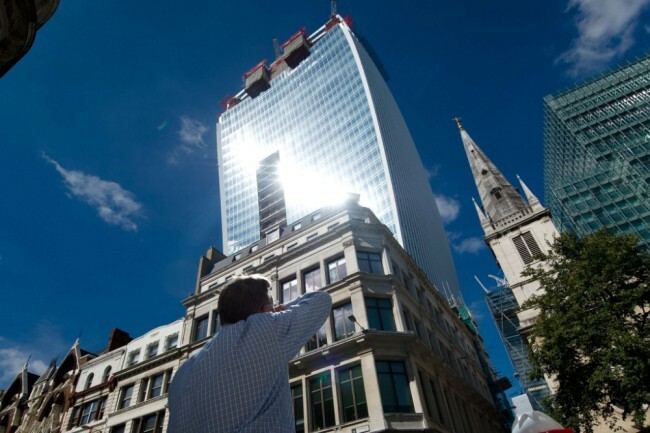 A bizarre skyscraper in London has turned into a dangerous “fryscaper” after it started melting cars. 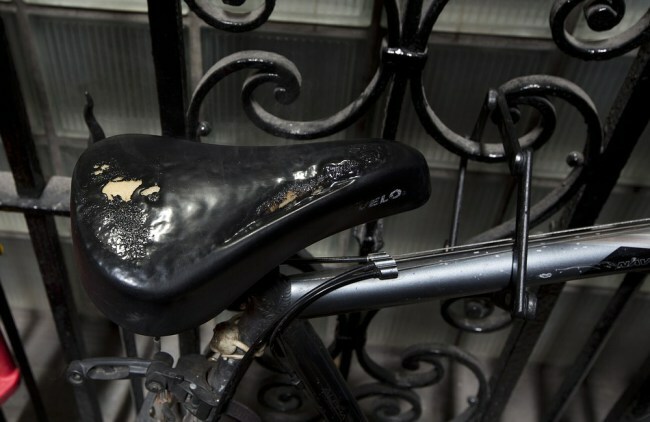 This week it was reported that a new building in the City of London known as the Walkie Talkie because of its unusual shape, has been reflecting the sun’s rays with such intensity that it has melted the wing mirrors and door of a car, and also the seat of a bicycle. The problem occurs in the afternoon when the sunlight is reflected off the building’s concave mirrored windows and concentrated onto an area of street below. 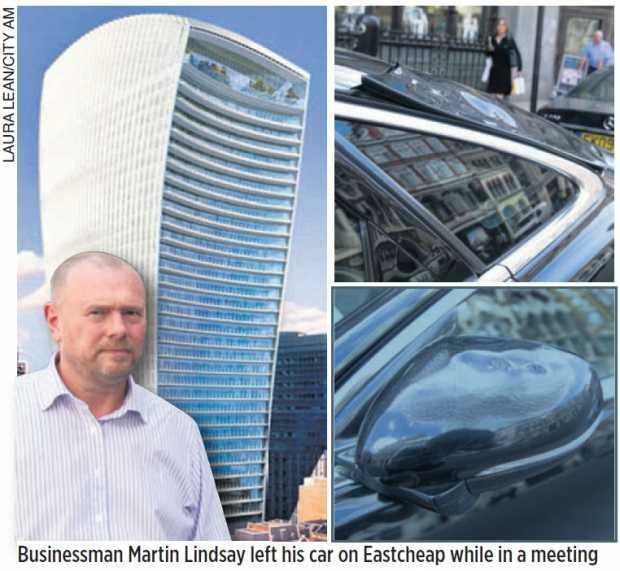 The fryscraper’s “death rays” were first noticed when Martin Lindsay Martin Lindsay, a director of a tiling company, parked his Jaguar car on a street nearby in the early afternoon. When he returned an hour later he discovered a smell of burning plastic and noticed that some of his car’s panels were melted beyond repair. ‘The van looks a total mess – every bit of plastic on the left hand side and everything on the dashboard has melted, including a bottle of Lucozade that looks like it has been baked. People have also been photographed cooking eggs using the ray, which works in a similar way to a magnifying glass under the sun. The building’s owners have now erected a temporary screen to protect the public. They say the phenomena will soon fade as the summer sun turns to a lower in the sky winter sun.